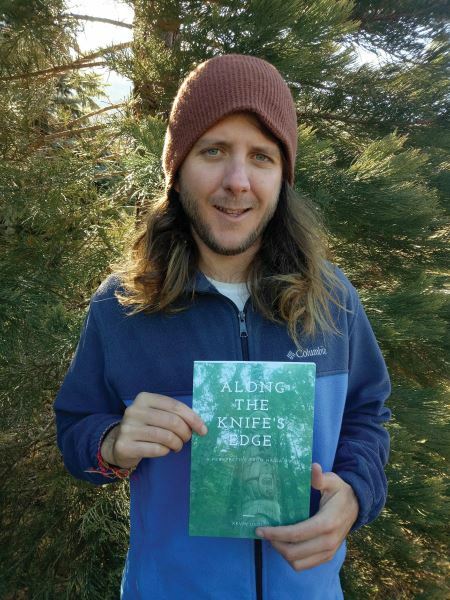 College of the Rockies Adventure Tourism Business Operations alumnus proudly displays his travel memoir Along the Knife’s Edge. Ucci, originally from Elliot Lake, Ontario, grew up spending a lot of time in the outdoors. When he was 18, he moved to B.C. and immediately fell in love with the mountains. Skiing was always one of his favourite sports, but once he had a taste of skiing in the Rockies -- especially around Golden, B.C. -- it evolved into one of his greatest passions. Learn more about College of the Rockies’ Adventure Tourism Business Operations program.